Despite being a multiplayer-focused game, Super Smash Bros Ultimate has a lengthy Adventure Mode with World of Light. The mode has you traverse a massive world map taking on a number of Spirit Battles, while exploring dungeons and even taking on a few boss battles. Once you reach the end, however, there’s a true ending you need to reach before you finally see credits roll and the final cutscene. Here’s how to get the true ending in World of Light in Smash Bros Ultimate. Before we go on, do note that we’ll do our best to avoid spoilers but there may be minor Smash Bros Ultimate spoilers simply do the nature of getting the true ending. Once you make your way through the world map and fight Galeem you’ll have another whole section to play through. We won’t say what it is, but once you’ve beaten this section you’ll open the way to the final area of the game, a sizable map crammed with Spirits and the two main bosses on opposite sides of the area. The main goal of this area is to free Master Hand and Crazy Hand from Galeem and Dharkon’s control. You’ll see Master Hand and Crazy hand on the main map, and you’ll need to battle your way through spirits to get to these boss battles, and then defeat them. Doing so will make the opposite hand appear on the other side of the map, so you’ll need to go to that battle and complete it. That second battle will officially free the hands from their respective boss’ control, and they’ll move to the top of the map and make a fracture in the sky. Now you need to proceed to the top of the map and to the path leading to the hands. However, in order to go down this path you’ll need to have light and darkness balanced, with each taking up fifty percent of the screen. As you’ve been fighting you’ve notice light and dark taking more control as you beat light or dark themed spirits. Beat the spirits you need to in order to make the map balanced and then head back to the hands, and down the path. Olay through the following sequence and once you’ve completed it two paths will appear, one to Galeem and one to Dharkon. Now you may think you need to go and beat each boss, but that actually leads to a bad ending for each one. What you actually need to do is simply go back the way you came, down the path that led to the hands. Doing so will cause Galeem and Dharkon to move to the center and fuse, creating the final encounter. In this encounter, you’ll choose three characters to take and your strongest spirit team. There are a few lengthy segments to play through, including a boss rush, and a climactic final battle, so bring your very best characters into battle. Once you’ve beaten all that, kick back and enjoy the credits. That’s everything you need to know about how to get the true ending in World of Light in Smash Bros Ultimate. 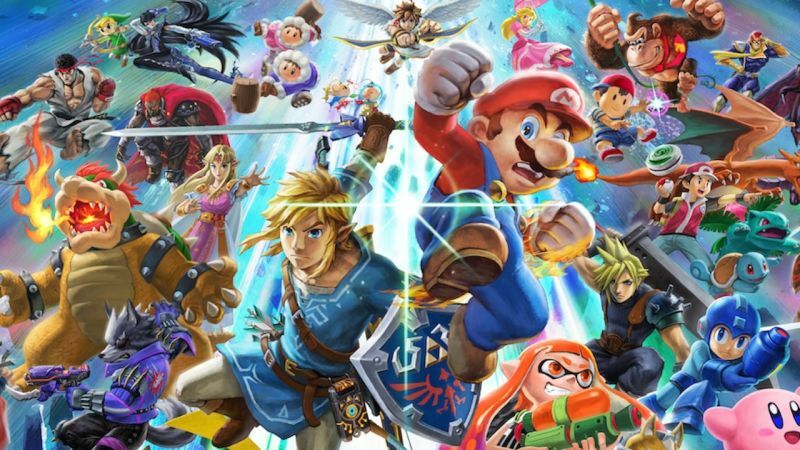 For even more tips and guides make sure to take a look at our Super Smash Bros Ultimate wiki.